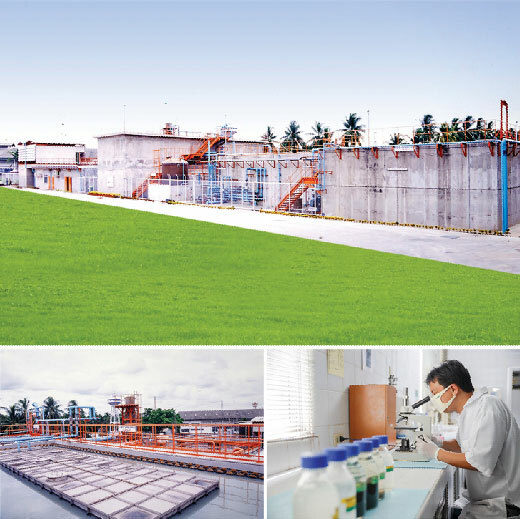 With good collaboration and cooperation received from both local and overseas governmental authorities, we have implemented a highly efficient water treatment system called Upflow Anaerobic Sludge Blanket (UASB) technology application. The system was designed and commissioned to effectively treat industrial liquid waste using minimal volume of water while generating methane gas for other utilization purposes. © Choheng Rice Vermicelli Factory Co., Ltd. All rights reserved.